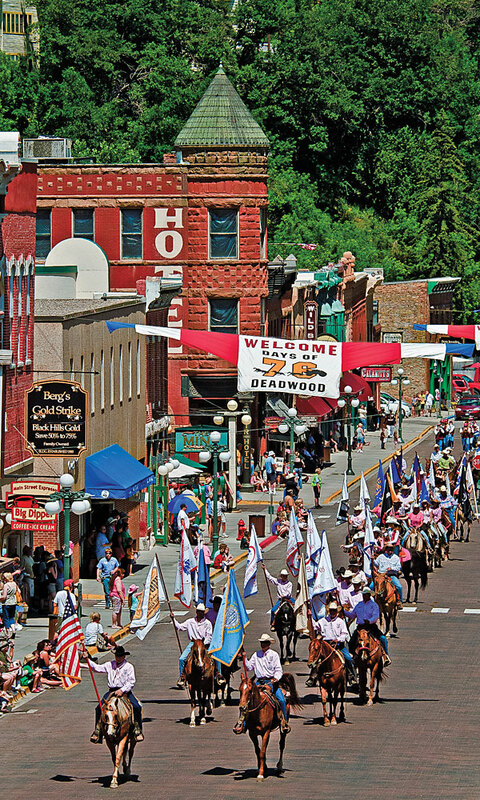 Top 10 True Western Towns of 2017 The best Western towns honor the past and celebrate the present. The West has always been a place for Americans who dream. About a second chance, about riches, about a free and productive life on fertile land with clear streams. All the great Western towns we profile here were settled by such folks and, with their ancestors and later-comers now in charge, the towns’ futures look bright. Their people have dedicated themselves to preserving what they’ve built—through museums, mansions, log homes and cherished artifacts, as well as through great old stories about the characters and events that make the West unforgettable. Best of all, travelers can experience this new frontier simply by jumping in the car and going. It’s all out there waiting for you. Anyone present at the founding of this gold camp knew it needed taming. Even the great shootist Wild Bill Hickok couldn’t survive there. The back-shooter Jack McCall put a bullet in Hickok’s head on August 2, 1876. 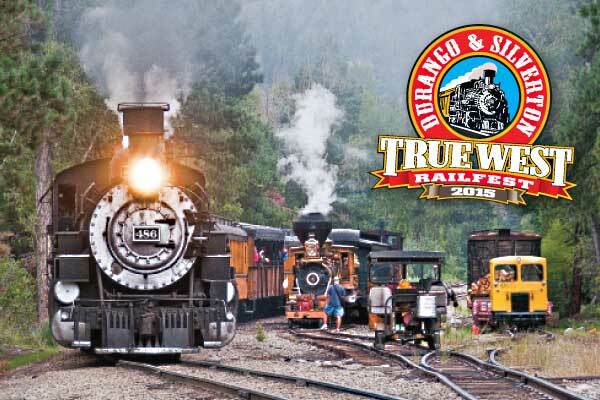 But the wait was worthwhile, for this lively northern Black Hills town has become a must-stop for Old West enthusiasts. Main Street boasts the stately 1895 Bullock Hotel, built by no-nonsense Sheriff Seth Bullock. “He could outstare a mad cobra,” said his grandson. For a $1 trolley ride, visitors can stand at Hickok’s murder site, raise a toast at Saloon Number 10, or go underground at the 100-year-old Broken Boot Gold Mine. Guides will have you sniffing the black powder. Summer tourists stop at the Masonic Temple for the Trial of Jack McCall, a re-creation billed as the Old West’s longest-running stage show. The Deadwood Alive Troupe also performs street shootouts and leads walking tours. Don’t miss Wild Bill Days, an outdoor shindig with music and dancing. In July, cowboys gather for the Days of ’76 Rodeo, a 94-year tradition featuring parades, horses, hats and lots of halloo-ing! The Adams Museum has displays covering all things Hickok, and the Days of ’76 Museum chronicles the history of the Days of ’76 celebration, which began in 1924. Nearby attractions include Mount Moriah Cemetery, resting place of Hickok and pal Calamity Jane. Spearfish Canyon offers a scenic drive past waterfalls and breathtaking limestone palisades. Scenes from Dances with Wolves were shot there. The frontier history that played out here ranks among the richest anywhere. Characters like Bass Reeves, a former slave who became a U.S. Deputy Marshal, and an Ohio farm boy named Isaac Parker, made their legends in Fort Smith. judge, “the most misunderstood of men,” as he claimed? The 79 souls hanged on his order understood him perfectly. At Fort Smith National Historic Site, visitors can tour the gallows and the jails where the doomed waited. 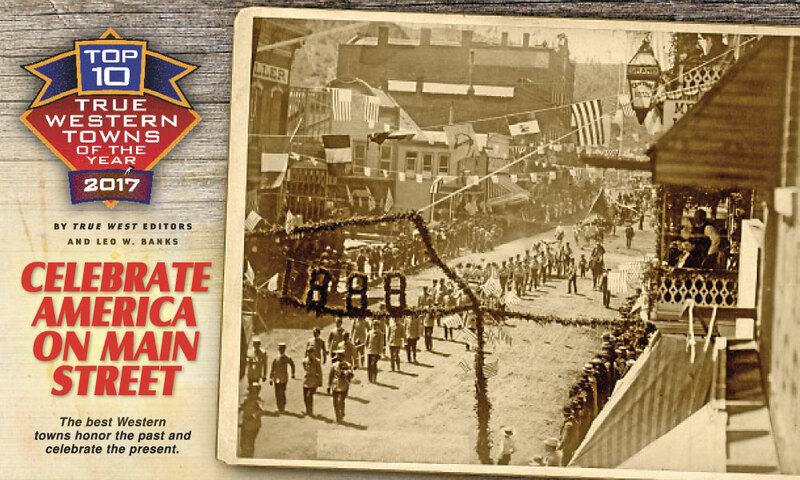 May is Fort Smith Heritage Month, a time for cutting horse competitions, gunfight re-enactments, mounted cowboy shooting and regional art displays. The celebration concludes with a rodeo. The Fort Smith Museum of History has 42,000 artifacts that tell of the town’s beginning as a fort in 1817. This year marks Fort Smith’s 200th anniversary. Yahoo! Speaking of yahoo, the town houses its convention and visitors bureau in a beautifully restored bordello, the first such establishment listed on the National Register of Historic Places. “Abilene wasn’t the first, but it was the most successful of the cow towns,” says Michael Hook, event coordinator at the Abilene Convention & Visitors Bureau. Over Labor Day, the Trails, Rails & Tales bash, a celebration of the Chisholm Trail, makes Abilene the world’s cattle capital again. 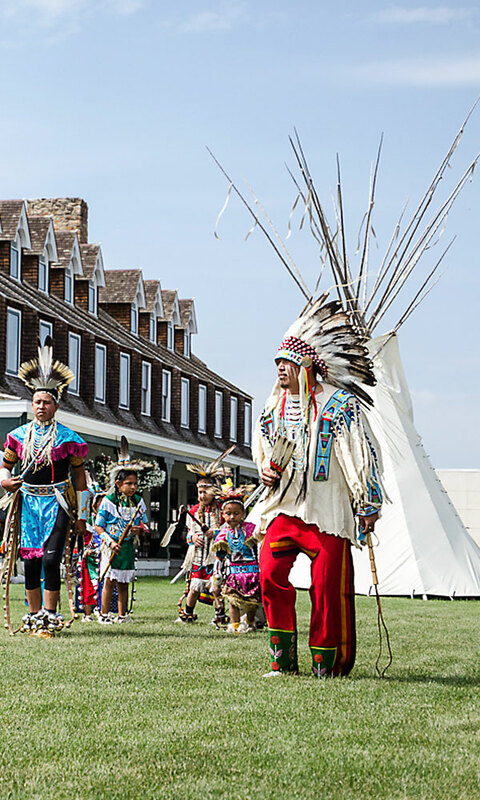 Activities include a parade, Native American dancers, music, and re-enactors. 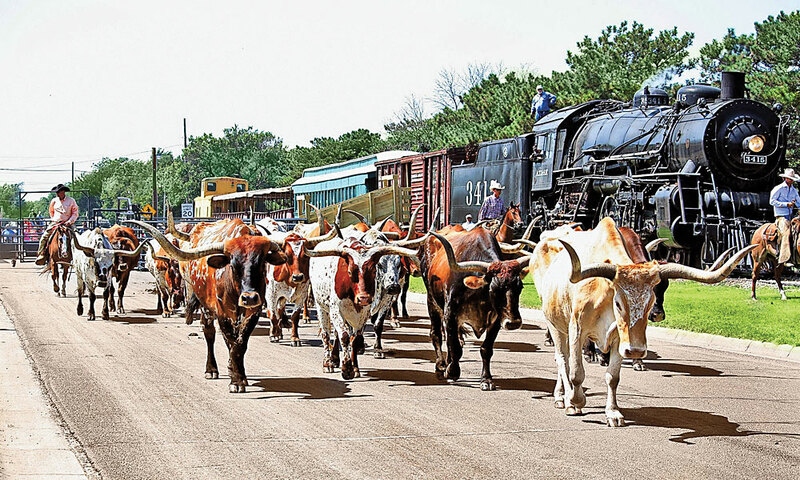 The highlight comes when cowboys drive Longhorn cattle down the street onto railroad cars. 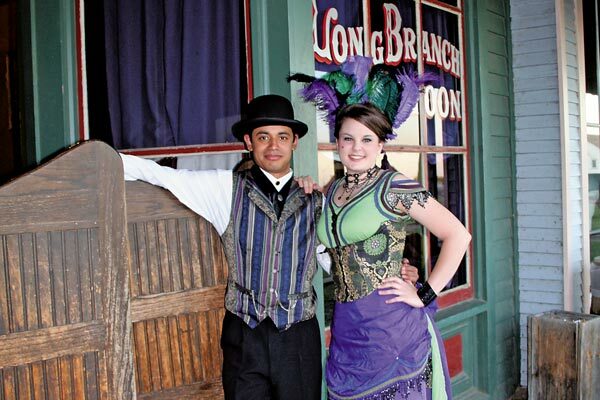 At Old Abilene Town, see mock gunfights and can-can dancers at the Alamo Saloon. The Dickinson County Heritage Center has regional history exhibits, and for World War II buffs, nothing beats the Dwight Eisenhower Presidential Library, Museum and Boyhood Home. Kitschy fun: The world’s largest spur stands 28 feet tall and guards the rodeo arena. At August’s Wild Bill Hickok Rodeo, fans go wild as an eight-hitch wagon pounds underneath it. Over four days in July, the frontier’s greatest explorers return to life at Pinedale’s Green River Rendezvous Days. The event re-creates gatherings from the 1830s, when trappers, Indians and mountain men came to the area to trade and raise a ruckus. Today’s Rendezvous features street vendors, a parade, a rodeo and a pageant in which costumed participants perform as Kit Carson, Jedediah Smith and others. The Museum of the Mountain Man displays items like a buffalo hide tepee, furnished with robes, headdresses and war lances. It also has mountain man Jim Bridger’s rifle, engraved J. Bridger 1853. “People are stunned that a small town could have a museum of this quality,” says Maureen Rudnick, Pinedale’s travel and tourism administrator. 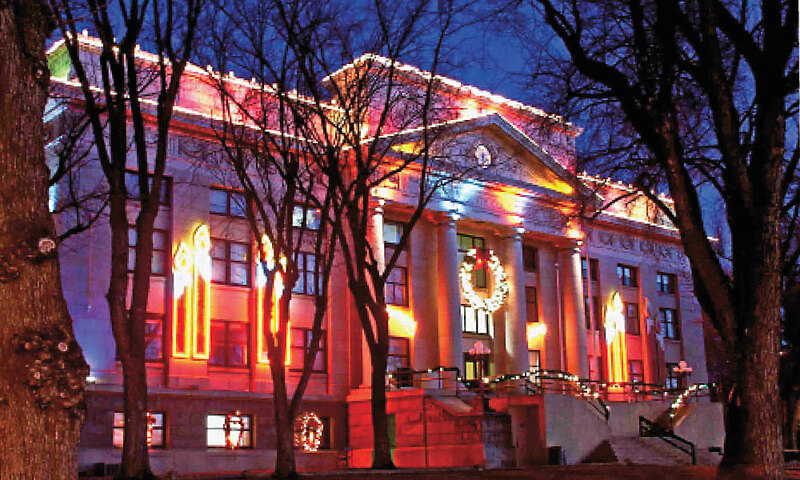 Walk historic downtown to the Cowboy Shop, longtime headquarters for working cowboys. The Stockman’s Restaurant displays bronc rider Joe Alexander’s trophy saddle. The Cowboy Bar was built in 1931 by Walt Punteney, who rode with Butch Cassidy’s Wild Bunch and performed in Buffalo Bill’s Wild West Show. Don’t miss New Fork Crossing, a 100-acre historical park with a walking trail and interpretive signs explaining what emigrants faced. At Sommers Homestead Living History Museum, visitors walk through a two-story log house furnished with items from pioneer days. The Panhandle’s largest city began in 1887 as a railroad supply town. Early buildings were painted yellow, likely for the soil color in the nearby creek. Amarillo means “yellow” in Spanish. By the 1890s, Amarillo became a cattle shipping center and today it’s a thriving Western hub. The Kwahadi Museum of the American Indian interprets the culture of Pueblo and Plains Indians through artifacts, bronzes, beadwork and paintings. What’s a steeldust horse? An animal so strong it could drive Longhorns over the toughest terrain and run faster than any other. The American Quarter Horse Hall of Fame & Museum preserves the steeldust story and its important role in Western settlement. Nineteen miles from town, the Panhandle-Plains Historical Museum has murals depicting Plains life, a top Western art collection and life-size Pioneer Town, where visitors can tap out a telegraph message. In Palo Duro Canyon, walk the same ground as fabled cattleman Charles Goodnight, who settled in the majestic canyon. Attend the outdoor musical drama that has been performed there since 1965. The Adobe Walls battle site—Bat Masterson’s baptism of fire—is 78 miles away. Or stay put for one of Amarillo’s many annual events, like October’s Cowboy Mounted Shooting Association Tony Lama World Championship. A gold strike in 1863 started this gem in the Bradshaw Mountains and history keeps it going. At Sharlot Hall Museum, visitors can browse ten excellent exhibit buildings and see the first Territorial governor’s mansion, a log structure built in 1864 and still in its original location. The town’s most popular site is Whiskey Row, where visitors belly up at the Jersey Lily and Palace Saloons for a shot of skull bust. 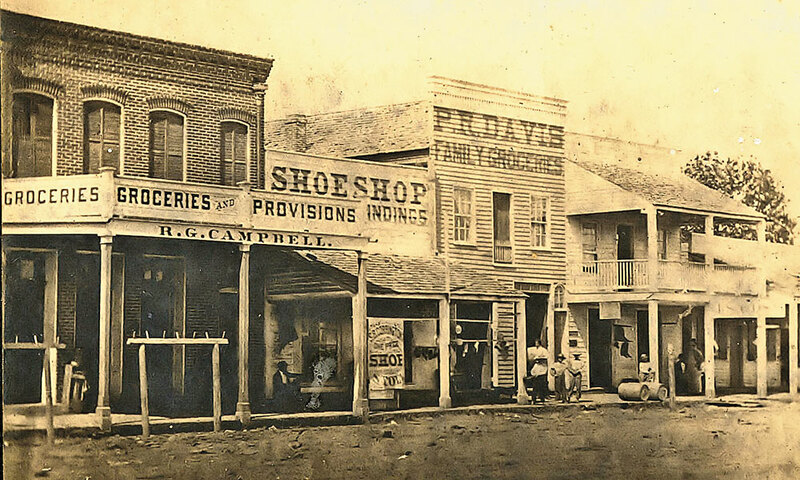 From 1867 to 1873, the Row was “crazy violent, as violent per capita as anywhere in the West,” says Brad Courtney, author of the book, Prescott’s Original Whiskey Row. July’s Frontier Days celebration includes what the town bills as the world’s oldest rodeo, begun in 1888. The Fort Whipple Museum explains the fort’s pivotal role in fighting Apaches and the Phippen Museum celebrates cowboy artists. Founded in 1935 and housed in a stone pueblo-style building, the Smoki Museum displays American Indian pottery and baskets. Sen. Barry Goldwater was a member of the Smoki People, and frequent announcer at their shows and snake dance re-creations. 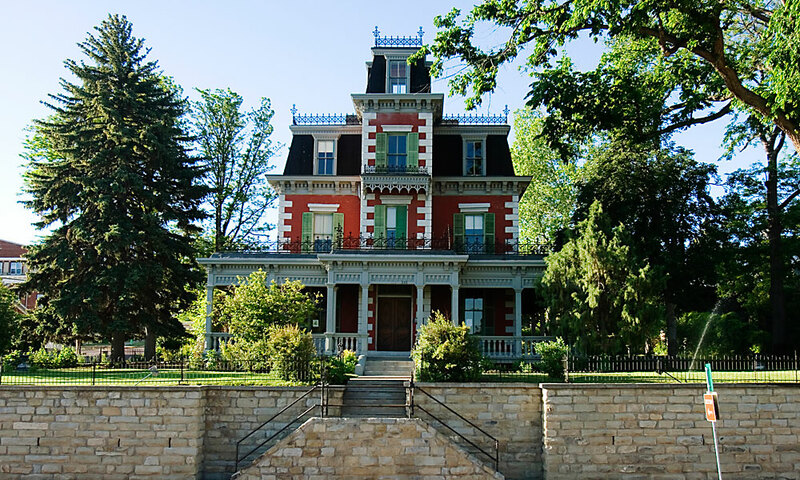 The first Territorial capital has stunning Victorian homes. 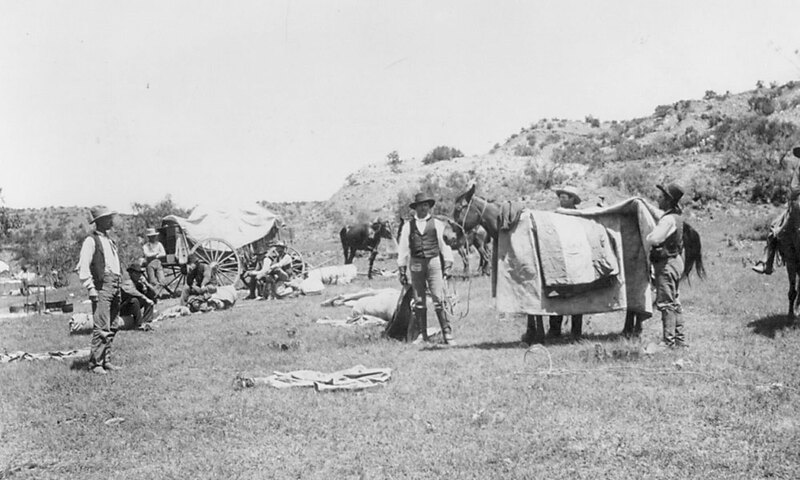 Travelers on the Santa Fe Trail rested under cottonwoods along the Purgatoire River. Trinidad began near there in 1876 and grew to host the West’s biggest legends. 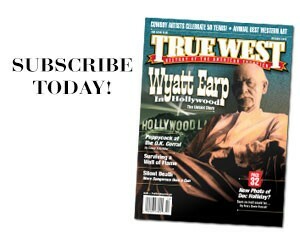 Doc Holliday gambled in Trinidad, and Bat Masterson was marshal when Wyatt Earp arrived after fleeing Arizona in 1882. The Trinidad History Museum tells the story. Attractions include the ornate Bloom Mansion, built in 1882, and the Baca House, a beautiful two-story adobe. Felipe and Dolores Baca acquired it in 1873—in exchange for 22,000 pounds of wool. The Santa Fe Trail Museum displays historic photographs and Kit Carson’s fringed buckskin coat. The A.R. Mitchell Museum, named for a well-known cover illustrator of Western books and magazines, owns more than 350 paintings and amazing Spanish colonial folk art. Take a trolley or walking tour along Trinidad’s red-brick streets and sidewalks. Drive the Highway of Legends through Cokedale, past old coke ovens used to mine coal. Hot legend: Al Capone’s crime syndicate used tunnels under Trinidad to run his booze and prostitution rackets during Prohibition. 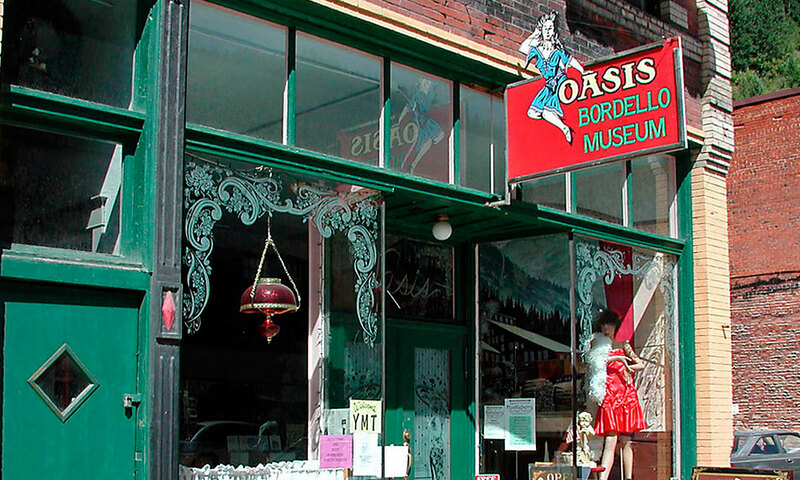 The Wallace District Mining Museum has historic photos, displays of mining equipment and lively exhibits. Learn about the massive 1910 Pulaski Fire that destroyed a third of downtown. Ride a trolley to the Sierra Silver Mine and go underground to hear former miners tell the hard truth about their work. To understand the vital role the railroad played in this section of the Bitterroots—trains ran from 1887 until 1992—visit the Northern Pacific Railroad Museum. The Oasis Bordello Museum is housed in a building that remained a bordello until 1988. Fearing a police raid, the ladies split in a hurry and the place looks much the same. Wall sign: Straight, no frills, $15, minutes 8. “Old Wallace liked its gambling and prostitution,” says Oasis Manager Eva Truean. “Our museum is part of that history.” Actress Lana Turner was born in Wallace, where her father was a miner and bootlegger. Outdoor fun abounds. Hike or bike the Hiawatha Trail, a former railway, through ten tunnels and under seven trestles. Founded in 1881, Gallup is called the Indian capital of the world, with 43 percent of its population coming mainly from the Navajo, Hopi and Zuni tribes. 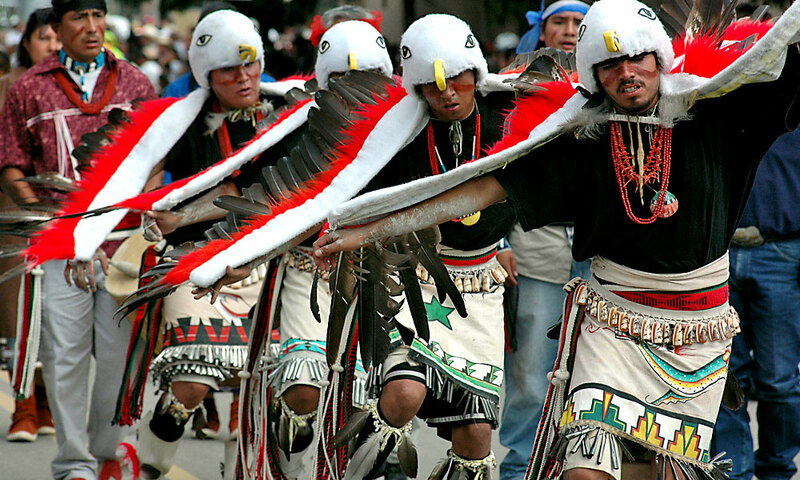 The town celebrates that heritage every August when Indians from around the nation gather for the Inter-Tribal Indian Ceremonial, now in its 96th year. The event draws nearly 50,000 to enjoy parades, costumed dancers and a big-time rodeo. Little-known fact: Indian cowboys are among the best anywhere. Housed in a 1923 railroad depot, the Gallup Cultural Center offers exhibits on weaving and sand-painting. See statues of a Navajo Code Talker and Manuelito, a great Navajo chief. Center Director Colin McCarty recommends stopping in the Masters Gallery to see a life-size bronze of a horse led by a Navajo girl. Ten top Navajo artists came together to paint the horse while a silversmith fashioned its bridle. On the National Register of Historic Places, El Rancho Hotel on Route 66 served as headquarters for movie stars. John Wayne drank in its 49er Lounge and the story says a thirsty Errol Flynn rode his horse into the place. Esquire’s editors called it one of the country’s best bars. Hike under spectacular 200-million-year-old cliffs at Red Rock State Park, site of a December balloon rally with nearly 200 entries. 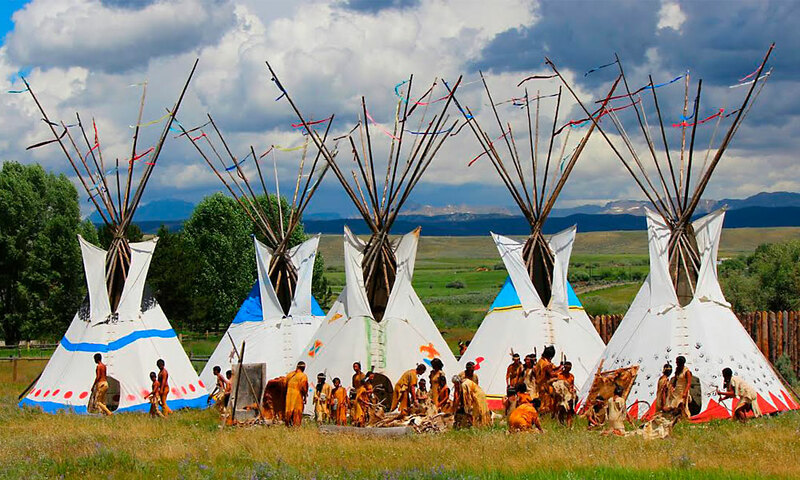 First People’s Pow Wow and Dance (above) on its lawn during Sheridan’s WYO Rodeo Week. 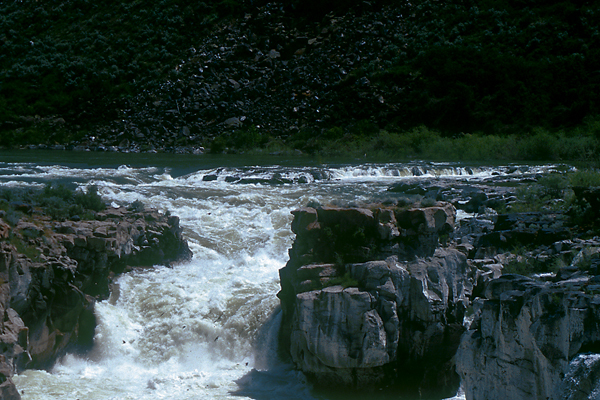 This historic town in scenic Little Goose Valley offers much to do, so plan well. Start at the Sheridan Inn, built in 1893 and expertly restored. Buffalo Bill Cody managed the inn for a time and held court from the grand wraparound porch. The lobby has the original columns, fireplace and front desk. Held on the inn’s lawn during rodeo week, the popular First People’s Pow Wow features Indian dancers in colorful ceremonial regalia. The Sheridan Wyo Rodeo, among the West’s finest, gives visitors “the whole works in the line of Western fireworks, freewheeling calves, hoodlum horses and skyrocket steers.” That was written in 1931, the inaugural year, and nothing’s changed. Step past the neon bronc and cowboy into the Mint Bar, the ultimate Western saloon. Ram and buck heads hang from cedar walls, with 9,000 cattle brands. Follow the pop of slant-heel boots to King’s Saddlery, a headquarters for working cowboys. Slickers in soft shoes should explore the museum in the back. Custer, Crook and Sitting Bull battled around Sheridan. Relive those times at Sheridan County Museum and Rosebud Battlefield State Park. At the Brinton Museum in nearby Big Horn, Wyoming, see a painted buffalo hide war shirt worn by Two Leggings, a chief of the River Crows. A braided hair lock hanging from it might be from an enemy scalp. Queen of the Cowtowns Dodge City’s wild and woolly ways created a lasting reputation. Elusive Witch’s Brew Searching for Caldron Linn in Idaho’s Snake River Plain.